The News Sentinel recently featured the Taylors – one of several families that participates in maintaining and operating Nickel Plate Road steam locomotive no. 765 together. The labor of love that is working on historic steam locomotives is also a family affair for the Taylors. Long ago, Brad Taylor’s grandfathers worked at the Lima Locomotive Works in Ohio, one of the pre-eminent facilities in the country when it came to the construction of the workhorses of the industrial age. Now, Brad is not only a member of the Fort Wayne Railroad Historical Society working on the Nickel Plate Road No. 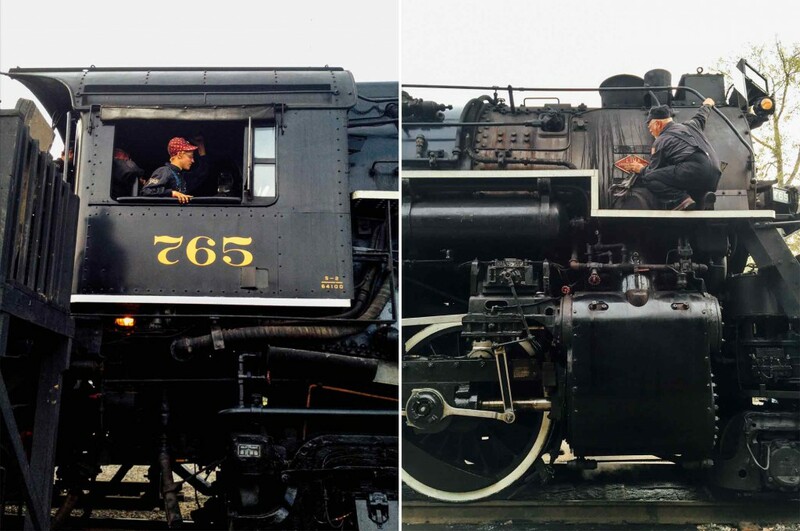 765, he is joined by his two sons – Nick, 19, and Robert, 16 – helping to operate a locomotive that was built at Lima in 1944. It is not believed that the Taylors’ relatives worked on the 765, but there is something nostalgic about touching the very parts and equipment that may have been handled by family. “It is definitely a cool way to connect to your past,” said Nick, who is currently in an apprenticeship as a tool-and-die maker. 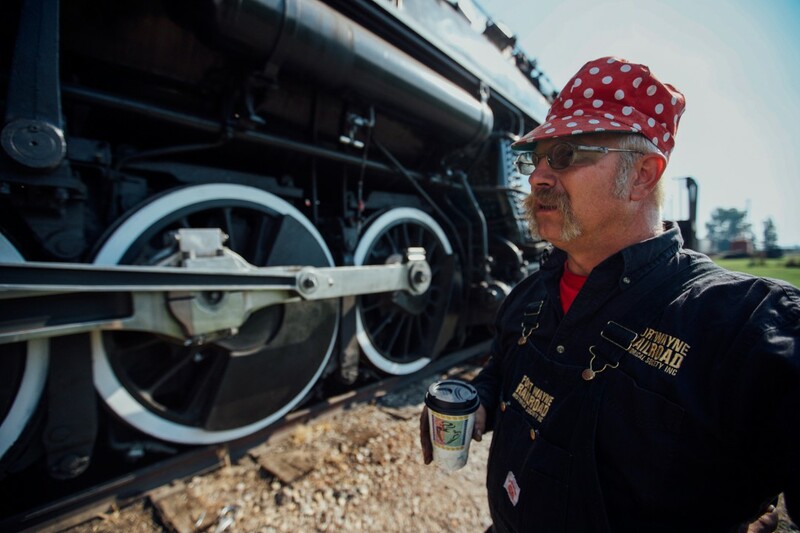 “When it comes to the railroad and steam engines, it’s almost as much about the people as it is the machinery. Interested in trains and machines since he was little, Brad checked out the 765 for the first time when it was under its major renovation in the early 2000s. 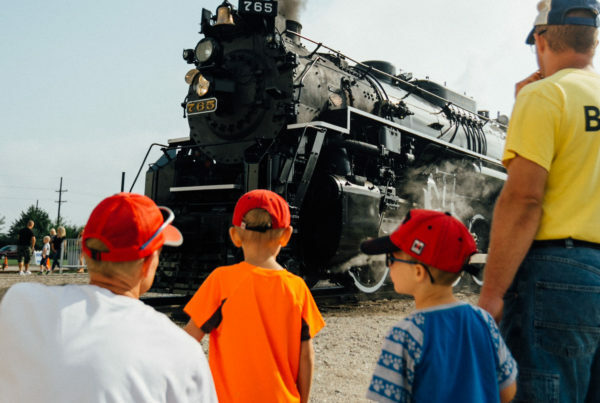 Over the next few years, he took his two boys from their home near Findlay, Ohio, to check out the latest improvements made to the historic locomotive. “One day stands out where we were in the shop and the guys were kind of getting to know us,” Brad said. “We walked out into the shop and we noticed there was coal in the tender. Robert Taylor (left, 16) operates the 765 during an open house while father Brad Taylor polishes the Lima Locomotive Works builders plate before an excursion. Brad became a member of the Fort Wayne Railroad Historical Society in 2007 after checking out the 765 with his family at Railfest in Michigan. 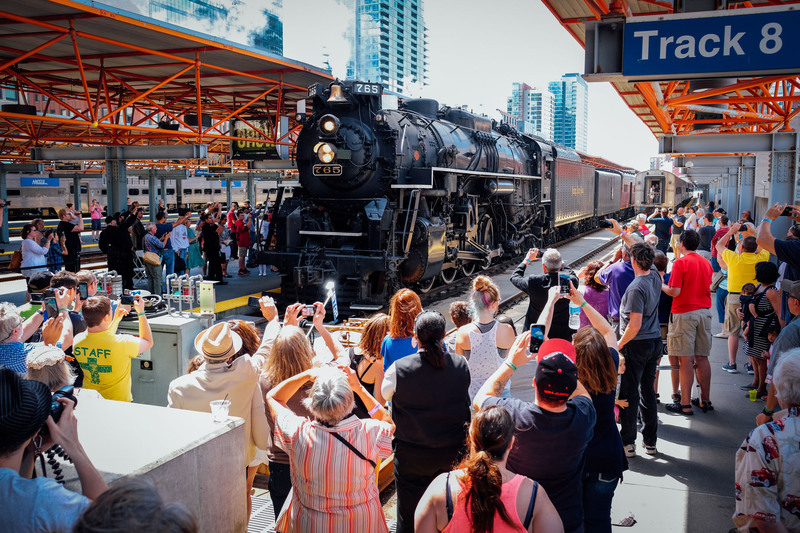 Nick and Robert soon joined him, with the trio each doing different jobs and tasks involved in keeping a 101-foot-long locomotive that weighs 440,800 pounds operational. The society treated the Taylors like they do everyone who comes along wanting to volunteer their time in keeping the 765 under steam. Each person is asked what his or her particular set of skills is. The society then finds a home for each person willing to help out. Nick and Robert were found jobs as well, although a lot of focus was put on safety with the vast amount of moving parts on a locomotive. Cleaning rods was a reasonably safe, but meaningful activity for the youngsters in their early teens. As they grew older and wiser, the duo was given tougher and more important jobs. Now, both take part in the down and dirtiness that needs done to keep a 71-year-old machine operational. The younger and smaller Rob works a lot on the hard-to-get jobs that include working on brake cylinders and spring hangers. Nick’s jobs involve fixing valves and plumbing issues with the vast amount of pipes and tubes throughout the engine. Both are involved in inspection work that includes climbing into the boiler itself to look for issues. Interestingly, the brothers have different opinions on careers similar to what they do on the 765. Nick loves the fact that the trade he is perfecting as an apprentice can be honed in his spare time working on a steam locomotive. As for Robert, he wants to do something different. The Taylor family tries to make the hour drive to Fort Wayne from Ohio once or twice a month to work on the 765. That number increases in the warm-weather months and excursion season. This past year, Nick was able to spend some time in the cab of the locomotive during its trip through the scenic Cuyahoga Valley in Ohio. For Brad, it means a lot to find a common bond with his sons to bring them together, particularly during their teenage years when most kids do not want anything to do with their parents. “I love going over there (with them),” Brad said. “When I walk in there, the smell and the environment of (the 765) being there…it lifts me up. And to share a bond with family members that worked where the 765 was built? Even better. 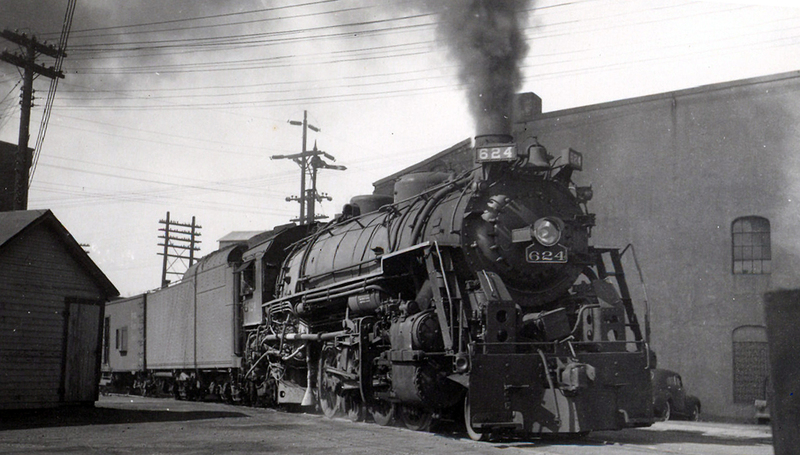 Family members can join the Fort Wayne Railroad Historical Society as a group. Click here to purchase individual level or Family memberships.